SKYBUFFER – We provide SAP innovative solutions that bring value. Every day. BRING SAP INTELLIGENT ACTIONS TO THE EDGE. 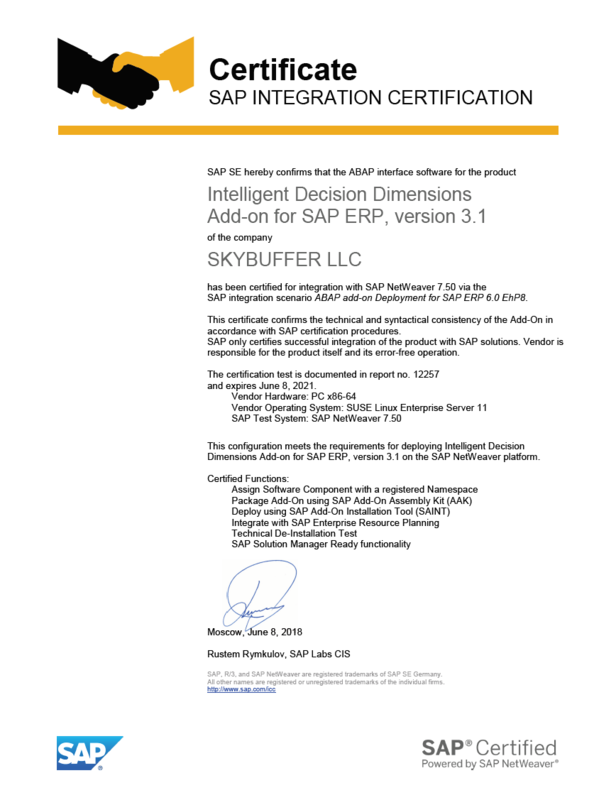 is Skybuffer Add-on officially certified by SAP Integration and Certification Center. We have integrated all our Intelligent Enterprise related development into our solid Cloud-enabled product that makes it possible to engage business users in the new way and create disruptive business models . Many companies sometimes appear unable to take full advantage of the capacity of SAP Business Workflow and Data Management, as business users have to login to the SAP system to capture decisions, or to simply check the status of any SAP document (e.g. order, invoice, etc). The Skybuffer solution empowers you with a bi-direction interaction with the SAP system via the asynchronous email channel, or ad-hoc chats with virtual assistance (chat bot). The implemented authentication security model allows you to control the access to SAP data and check business users’ authorization. TRY ONLINE AND SEE IT IN ACTION! Part of Intelligent Decision Dimensions designed to provide universal and integrated with SAP NetWeaver on premise core functionality emailing framework for business workflows and email-to-SAP type of communication. The solution with its asynchronous intelligent actions and notification cards brings SAP to any edge where the business user may be. Mobilize enterprise data as email based cards. Forget about additional apps on your mobile device. Part of Intelligent Decision Dimensions dealing with bi-directional SAP Conversational AI data flow integration from SAP Cloud into SAP On Premise system.​ Skybuffer unified chat bot has all AI skill-sets integrated into one instance, is designed for instant plugging and can be extended for any customer-specific logic or needs. Talk to me. Like humans do. 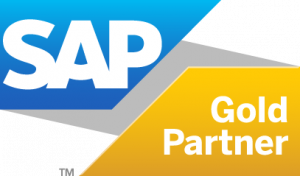 Let us know your SAP challenges and we will get back to you with a simple, fast and smart solution approach! Thank you for your patience. Just click “send” to transfer your information to us.